Habitat: These frogs inhabit the floor of humid forests, and are also found in epyphite bromeliads at heights of 3-25 meters above the ground. 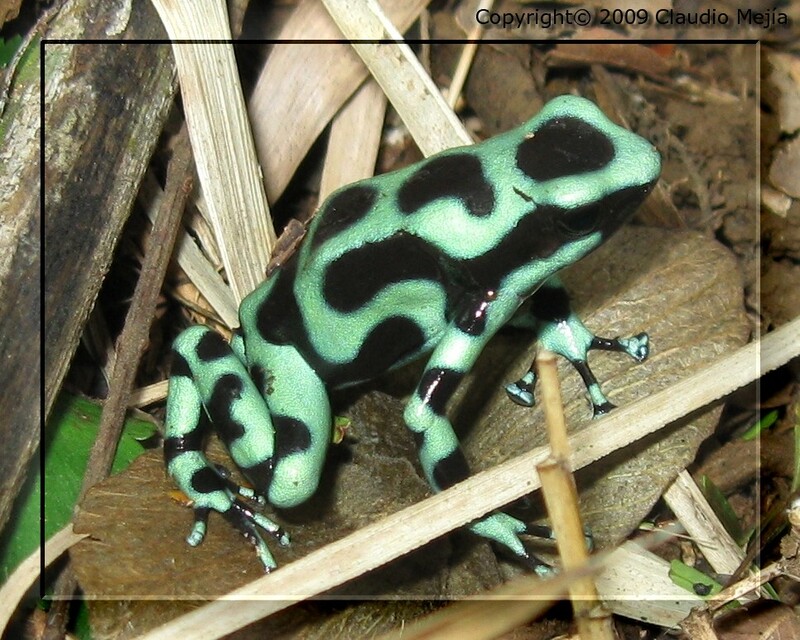 Molecular data: This species contains toxins similar to those of the Dendrobates pumilio (pumiliotoxins B,C, that is a very potent neurotoxin that causes muscular contractions) and other alkaloides that work as a defense against predators. Behavior: They are diurnal and territorial. They have a peak of activity in the beginning of the afternoon (13:45 pm.) in the northeastern part of the country (Caribbean slope). Distribution outside of Costa Rica: They are found from the south of Nicaragua to the gulf of Urabá, Colombia, on the Caribbean slope, and from Costa Rica through Panama, to the interior part of the Atrato River drainage basin. These frogs were introduced to the Oahu Islands, Hawaii, USA. All images on this webpage are Copyright 2009 Claudio Mejía (unless otherwise stated) No Use Without Permission.